From New York's Carnegie Hall to Leipzig's Gewandhaus, Hong Kong's Cultural Centre to London's Wigmore Hall, Robert Taub is an internationally acclaimed pianist. In January 2003, he performed as soloist with the Boston Symphony Orchestra, James Levine, conductor. He has also performed with the MET Orchestra, The Philadelphia Orchestra, San Francisco Symphony, Los Angeles Philharmonic, Montreal Symphony, BBC Philharmonic, Munich Philharmonic, Orchestra of St. Luke's, Hong Kong Philharmonic, and others. He has given solo recitals on the Great Performers Series at Lincoln Center and other major series worldwide. Dr. Taub is a Phi Beta Kappa graduate of Princeton where he was a University Scholar. As a Danforth Fellow, he completed his doctoral degree at The Juilliard School where he also received the highest award in piano. His principal teacher was Jacob Lateiner. Taub has served as Blodgett Artist-in-Residence at Harvard University, at UC Davis, as well as at the Institute for Advanced Study. He has led music forums at Oxford and Cambridge Universities and The Juilliard School. Following the conclusion of his highly celebrated New York series of Beethoven Piano Sonatas, Taub is now in the midst of a new Beethoven cycle in London at Hampton Court Palace. He has recorded the complete Beethoven Piano Sonatas for Vox, and his book -- PLAYING THE BEETHOVEN PIANO SONATAS -- has been released internationally by Amadeus Press. 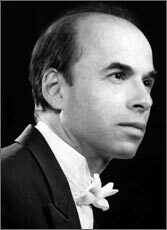 Robert Taub has always been involved with new music as well as the established literature, premiering piano concertos by Milton Babbitt (MET Orchestra, James Levine) and Mel Powell (Los Angeles Philharmonic), and making the first recordings of the Persichetti Piano Concerto (Philadelphia Orchestra, Charles Dutoit) and Sessions Piano Concerto. Most recently, Taub has begun collaborations with several younger composers, including Jonathan Dawe (USA), David Bessell (England), and Ludger Br�mmer (Germany).